2019 Event Tickets for Tucson Concerts are on sale now! There are many reasons why people should attend music festivals. Festivals highlight emerging and unusual trends in fashion. Festivals are a great group activity. Festivals expose listeners to new genres and new artists. Festivals introduce music lovers to a community of people who follow the same artists and have the same passions. Festivals reduce the line between performer and audience, with celebrities roaming around in crowds. Festivals are a great reason to travel out of state or out of country. Festivals are an excellent way to explore new experiences. With so many appeals of attending festivals, take comfort in the fact that Arizona has plenty from which to choose. La Fiesta de Guadalupe, 24th Annual Downtown Parade of Lights, Cultivate Tucson Holiday Market, Harvest Fest as Sonoita Vineyards, Oro Valley Cruise BBQ & Blues Festival, Blues & Brews Festival, St. Patrick’s Day Parade & Festival, El Tour Downtown Fiesta, Winter Art Festival, Tucson Jazz Festival, and Tucson Desert Song Festival are some of Tucson’s many outdoors festivals. Although many are themed around other entertainment sectors, each contains some aspect of musical performance. Snag some ticket to indulge in the unparalleled experience of music festivals. 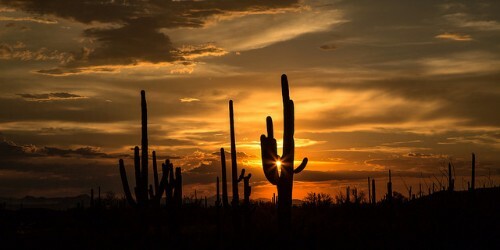 For Concerts in Tucson, please see our event listing calendar of Concert tour dates in 2019! With a reputation for being an inexpensive, open-minded best-kept-secret of the Southwest, musicians can afford to live and play in the scene. With built-in audiences from large universities, up-and-coming is a benefit to many bands rather than a detriment. Although Tucson has rested in this niche for years, some breakout stars and record deals here and there are beginning to cement the city’s role in music and entertainment. Locals believe that this transition must be organic to Tucson, as opposed to a forced commercialization of music. This community efforts seems promising. Many desert cities in the American Southwest are home to a hodgepodge of cultural influences, especially Native American and Mexican. With longstanding traditions in international music, these cities have a history to preserve. In Tucson, organizations such as the Tucson Musician’s Museum are contributing to that aim. This particular organization works with youth—especially underprivileged and at-risk youth—to share the history and uniqueness of Tucson’s music. Programs include teaching, mentorship, and more, which gives young people access to music education. For those interested in supporting the youth or for those interested in experiencing the traditional music of Tucson, attend one of the concerts performed by or hosted by the Tucson Musician’s Museum. How Do I Find Upcoming Tucson, Arizona Concert Events Near Me? See below for a list of Concerts in Tucson AZ scheduled for 2019.